Do you want to teach improv to your students, but don’t know where to start? Are you looking for ways to structure improv games into effective lesson plans? 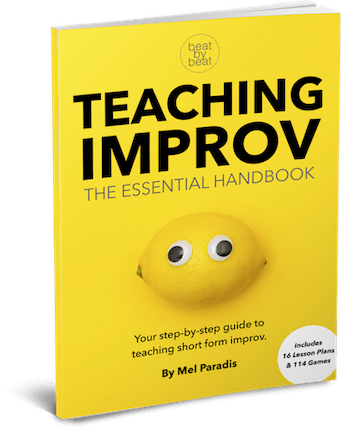 Introducing Teaching Improv: The Essential Handbook, a new eBook packed with 16 step-by-step lesson plans that will take the stress out of planning your improv classes. We’ve done the hard work for you, by organizing today’s best improv games into fun, skill-based lessons that your students will absolutely love. More importantly, you’ll see them grow into confident and creative performers…guaranteed! While there are countless books and websites out there with games, many of them lack lesson-by-lesson strategies for teaching improv skills. 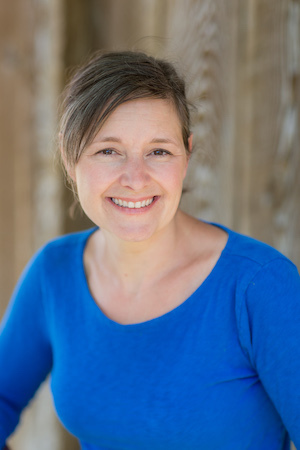 The books that do teach skills are geared towards long form improv for adults. I wrote this book to save you the time of pouring through those books and websites! The lessons presented here are a culmination of decades of research, teaching and performing. Similar to Teaching Drama: The Essential Handbook, the layout of this resource recreates the experience of being “in the classroom” observing an expert teacher introduce these concepts to a beginning class of students. Whether you are a drama teacher looking to add a short form improv unit to your curriculum, an improvisor wanting to lead workshops or a general education teacher looking for new ways to incorporate creativity into your class, there is something in this book for you! Teamwork and Trust. Students will demonstrate an understanding of improv and develop trust with their classmates. Make Associations. Students will practice making associations and discover tools to help them think quickly and creatively. Yes, and. Students will demonstrate the ability to accept a statement or action that they are given and add something to it. Listen. Students will listen to each other by observing how their classmates move and absorbing what their classmates say. Relate. Students will learn to internalize and connect with whatever has been communicated. Be honest. Students will demonstrate honesty in their creation of environments, objects and characters. Be in the present. Students will make strong initiations that are rooted in the present. Tell a story. Students will learn how to incorporate the Important Elements of Storytelling into their scenes. Develop Relationships. Students will explore how status affects relationships, and how it can be used to enhance a scene for comedic or dramatic effect. Scenework. Students will create entertaining scenes with characters who have a strong relationship, locations, a strong initiation, and a conflict. 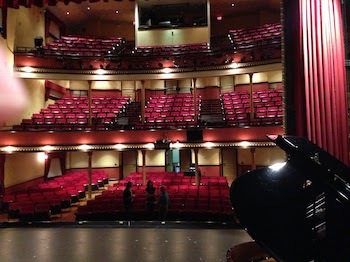 Beat by Beat Press is the leader in providing today’s best resources for theatre educators. Our website attracts over 450,000 visits a month by teachers just like you seeking high-quality materials to use in the classroom. Our materials have been used in performance spaces and classrooms in over 100 countries and translated into 5 languages. You can feel confident that the materials you receive are top-notch. It’s always our goal to provide drama teachers the resources they need at a price they can afford. Professional development workshops for improv training can cost thousands of dollars. Online training courses charge subscription fees of over $400/year. Why spend that kind of money when you can download everything you need to teach improv at a tiny fraction of that cost? Teaching Improv: The Essential Handbook (a practical guide you can start using in your class tomorrow) can be downloaded instantly for only $30. At Beat by Beat we’re passionate about raising the bar on the quality of resources that are available for young actors…and this eBook is no exception. You have our personal guarantee that if you aren’t completely satisfied, if you don’t love this book and use it all the time in your theatre classes, call or email us within 30 days and we’ll refund every penny.